What is oxycourage? By Fred Crowell’s definition, it is when oxygen unites with the human soul to form internal power and courage. “Oxy” makes it more sharp and acute, abundant when combined with simple courage. As an example, let’s imagine we are at the 2008 Beijing Olympics. Matthias Steiner stands on the lifting platform. The 6′, 320-lb, heavyweight lifter prepares to raise above his head the most weight he has ever lifted. His heightened motivation is to win a Gold Medal in honor of his beloved wife who was killed in a car accident the year before. Knowing this would be an incredible feat, Steiner asks the judge to rack up the weight. Fellow weightlifters think Steiner is just being disingenuous. As Steiner places his hands on the bar, he breathes deeply several times. 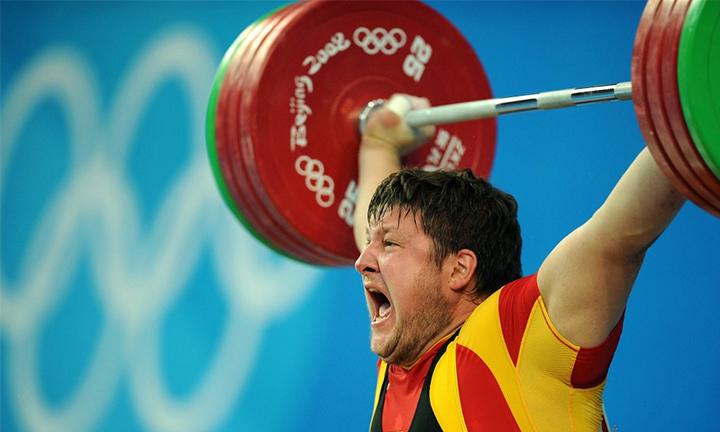 With lungs filled and face looking like a helium balloon, the German clean and jerks 568 pounds (258 kg)! This triumph is miraculous! With such motivation, this becomes the most inspirational lift of all time. For us, oxygen united with inner courage is the recipe for incredible achievement. Inner courage is a product of soul unification of the mind, heart, and spirit. For attainment, oxycourage is the single most difficult skill to master. Matthias Steiner is living proof.